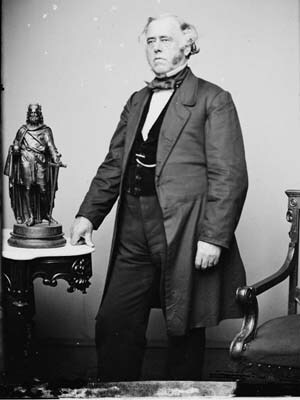 Known today for his extensive diaries covering the Civil War period, Benjamin B. French was a lawyer, Asst. and then Clerk of the House of Representatives (1833-47), company president, Commissioner of Public Buildings and Grounds under President Pierce (1853-55) and under President Lincoln (1861-67). 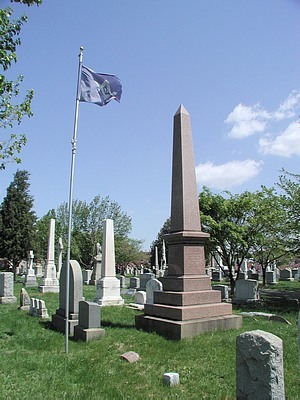 He was a leading Freemason and the Benj. B. French Lodge #15, of Georgetown is this year celebrating its 150th year. As an indication of his national reputation, when Benjamin B. French died on August 12, 1870, his obituary appeared on the front page of the New York Times. 545 7 th Street S.E. 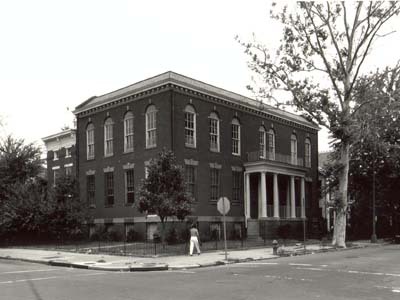 The school building is now home of the Capitol Hill Arts Workshop. The Benjamin B. French School was rebuilt in 1898 as a manual training school. 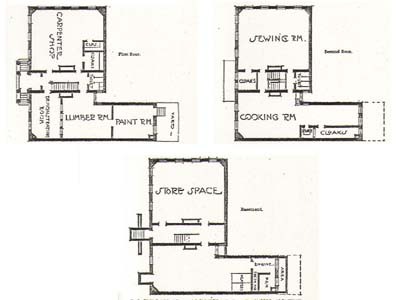 The floor plan clearly demonstrates the intended use of the school.